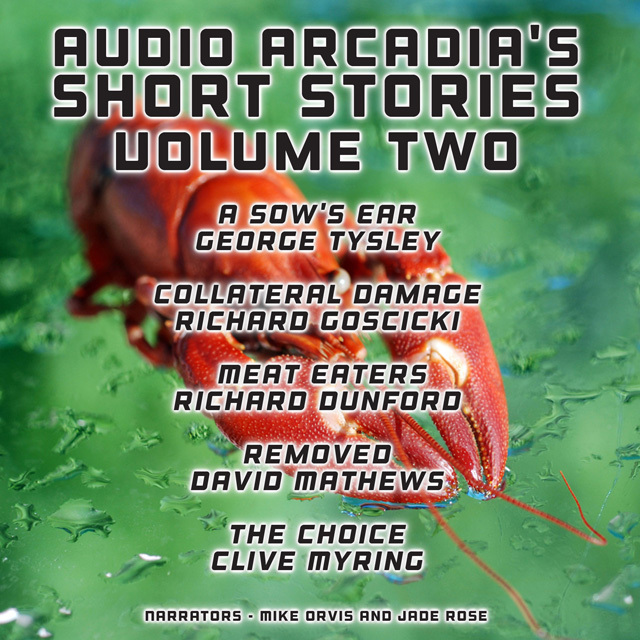 Audio Arcadia hold on-going short story competitions and below are the five winning stories in Audio Arcadia’s Short Stories – Volume Two edition. For details on how to enter, click on the “Competition” tab on this website. “Meat Eaters” by Richard Dunford: This is a short story about a vegan terrorist who takes their passion for animal rights a step too far and as a result changes the world forever. “Removed” by David Mathews: Who is the mysterious 'RW' sending tetchy emails to Eleanor at the Small Monuments Commission about stones that have gone missing from ruined castles and monasteries? Eleanor, amused, finds a way to respond to the complaints, and begins to play detective. “The Choice” by Clive Myring: An atmospheric short story written in poetic prose which attempts to describe man's eternal dilemma of being through a post-apocalyptic choice set against his natural world. “A Sow’s Ear” by George Tysley: Miss Tomlinson, a retired teacher, is visited by Ian, a former pupil who owes her a great debt for inspiring his educational progress. At first all is honey sweetness between them and they contemplate a nice tea. As their exchanges progress, a note of increasing bitterness from Ian creeps in. The atmosphere is charged with menace and fear. The listener begins to wonder if Ian has come to murder Miss Tomlinson. The twist ending leaves her triumphant.